This a a great little Pro-America 80s teen adventure. 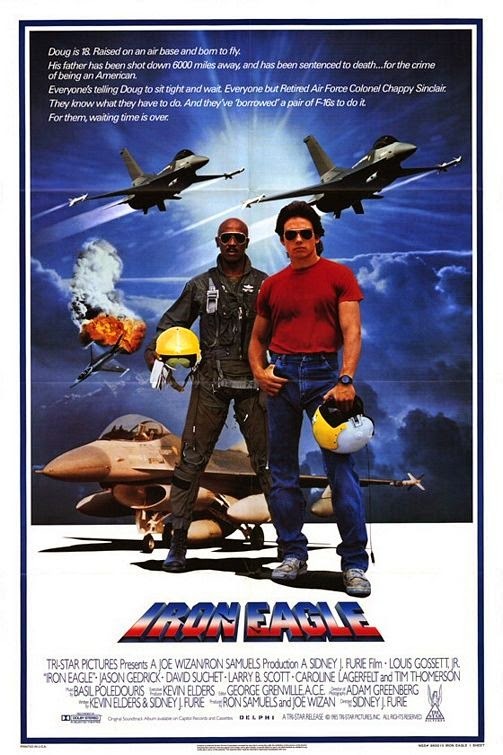 Often seen as a Top Gun rip-off, Iron Eagle was actually released before Top Gun and other than the fact the it features fighter jets, there are not many similarities. The sound track is excellent, Louis Gossett Jr's performance is brilliant - he basically plays the same role as his award winning performance in An Officer nd a Gentleman. Jason Gedrick's acting is a little wooden at times, but it doesn't hinder the movies charisma or the viewers empathy with the character. 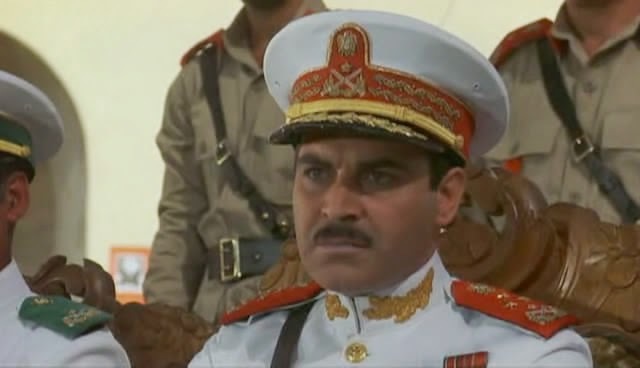 For me the most outstanding performance is by David Succhet who plays a Gaddafi type character. His dialogue is laughable but delivered with conviction. "I want these pigs blown out of the sky!." The direction and effects are excellent. The aerial footage is some of the best shot pre 00's and has been re-used in many other movies over the years. There is a political undertone but that is to be expected in these Reagan era pro American outings. It's what makes them so good. It's a movie for teenaged fashioned into something for a much wider audience. It doesn't quite succeed in this respect but nevertheless, it's a fun movie, well shot, well paced and with a good cast. This movie is dated. Heavily dated. But if you like 80s movies, this one is a cracker. Release Rating: 5/10 - Good quality transfer, no real extras.